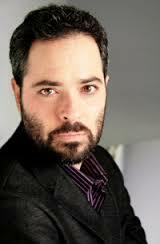 Chris Abraham is the Artistic Director of Crow’s Theatre. Since recording this interview Chris was awarded Canada’s highest honor in theatre: The $100,000 Eli­nore and Lou Simi­novitch Prize. Read my coverage of the event featuring Rick Miller and Louise Pitre, HERE. Chris is an award winning theatre and film director, dramaturg and teacher who has worked with Canada’s foremost artists and theatres. In the podcast we discuss some of his directorial choices, including his work on “Seeds” a documentary about the legal battle between a Saskatchewan farmer and Monsanto, which is “coming soon to a theatre near you” if you live near Montreal, Calgary or Ottawa. I’m a big fan of his work at The Stratford Festival. His work there has been consistently solid. We discuss his plans for “A Midsummer Night’s Dream” in 2014 at The Stratford Festival. Finally we get into his background. Chris didn’t come from a theatre family but by age 14 he knew he wanted to be a director. Check out episodes that also mention Directing, National Theatre School, Stratford, Theatre.